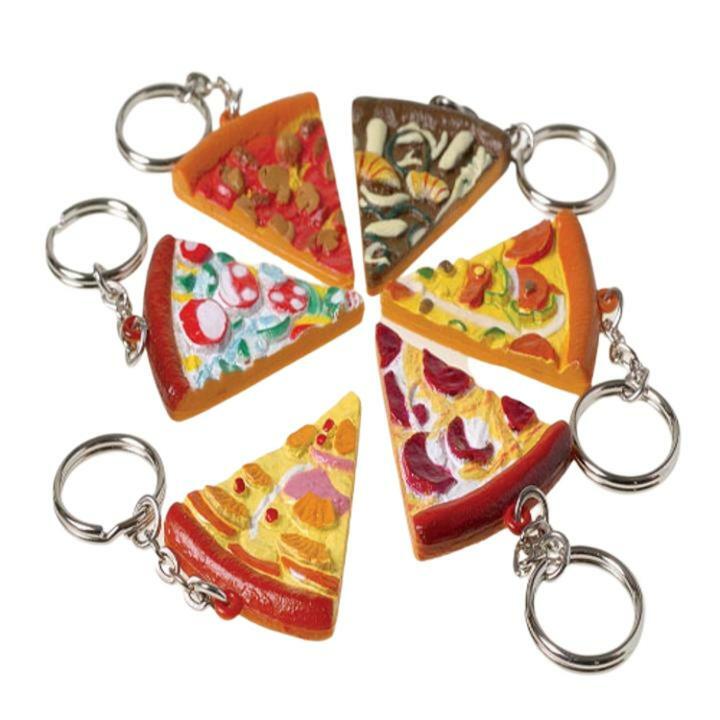 Cheap Pizza Keychains - 12 Ct.
Pizza Keychains - 12 Ct. This pizza keychain looks good enough to eat. Made of plastic. Everyone needs a key chain. With our wide selection of key chains you'll definitely find the perfect choice to fit your party or event theme. Key chains make great party favor give-aways. So fill party loot bags with a keychain themed to fit your party or event. L: 6.95 in. W: 1.2 in. H: 7.6 in.